We know that fulfilment is important. It’s a key part of your customer’s experience with you and your product – and how you will succeed. 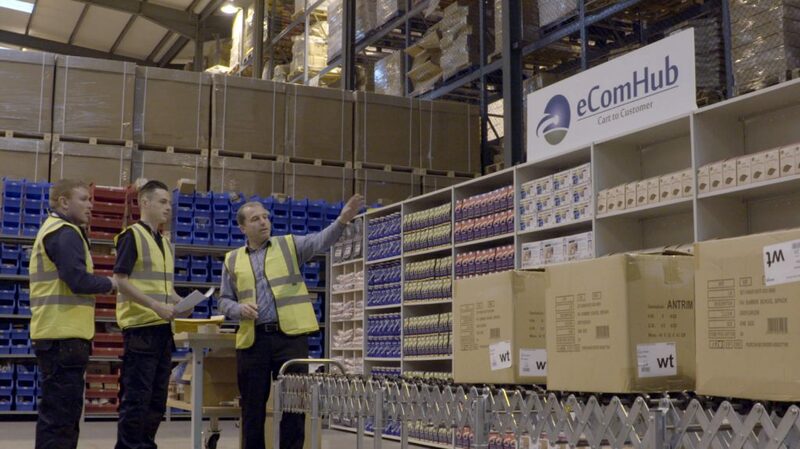 To meet growing demands for eCommerce fulfilment we have created eComHub. With our web-based fulfilment software, accurate picking & packing processes and friendly staff, we will provide you with constant visibility over your stock and e-commerce orders. Our team will work closely with you to co-ordinate customer shipments and ensure that your goods are handled properly from the time they arrive with us to the time they are shipped to your end customers. Our warehouse facility is designed for the fulfilment of a wide range of products, from Food to Electronics, Sports equipment to Nutrition. We also have developed specialist processes for individual features of specific products such as Electronics, Promotional events, Lifestyle goods and Retail.